The process of drinking wine for some is more than just drinking alcohol. The beauty of wine is that there are some many different scents and flavours that have been born through the different use of grapes, wine making methods and regions of the world. A good bottle of wine will bring great pleasure, and can be enjoyed fully through the process of looking, smelling and drinking. backdrop to observe the hue of the colour easier. What is the importance of the colour? The first thing you should remember is that the colour of the wine originated from contact with grape skins after the grapes have been juiced. The length of duration that the wine is in contact with those skins ultimately decides the colour of the wine. To begin with, take a look for the shape of yellow. How would you describe it Is it light and bright, or deep and full? A light a bright yellow would typically signify that the wine is crisp and refreshing, whereas a deep and full yellow would suggest the wine was aged in an oak barrel and has a much smoother and richer taste. The same steps mentioned should be followed for looking at red wine. Look at the shade of red, if it is light, almost to the extent you might call it pink, it should taste light and bright. This type of wine would typically be younger, meaning it was unlikely to be aged in oak which would make the wine have a little tart element in taste. The darker the red, when you approach maroon and purple. You’ll find the taste will become much richer. 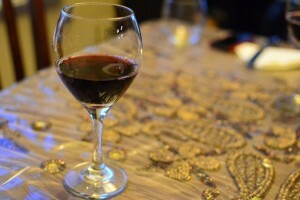 Is red wine healthy for you? 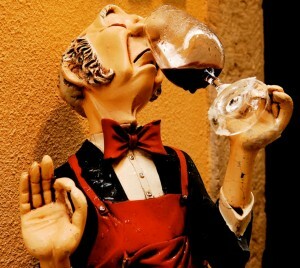 On a side note, sources say that red wine has many health benefits when consumed in moderation, which is always a plus! After looking and before tasting, you’re advised to have a good smell of what you are about to drink. When you smell wine, you prepare your brain for what you’re about to taste, having a profound effect on the way the brain processes the flavours. When you go to smell the wine, you’ll need to put your nose quite far in. While you may feel silly doing this, it is absolutely essential that you do it. You should breathe deep when undergoing this process, fully taking in the scent. Think about what you’re picking up while doing this. You should be able to identify familiar smells, whereby the brain will pick up scents you’ve smelt before. Now that you know how to smell a wine for a preview of its flavour, you’ll be able to get a good idea of what wine should and shouldn’t smell like. A figure of around 5% has been identified as the percentage of wines with natural cork used to seal the bottle as ‘corked wine’, whereby the wine has been contaminated by cork taint. This occurs when airborne fungi come into contact with the cork and make a substance called TCA that will make the bottle of wine smell distinctively different, similar to mouldy rooms, wet newspaper or wet dog. While it is not harmful to drink, it is unpleasant to smell and drink, and you should contact your supplier and let them know, where they will replace the bottle.